You are poised and ready to buy a property. The time is right! You have talked with friends, family and your banker. You feel good. Countless real estate websites are bookmarked on the laptop and you start making calls. You are eager to find out the price, square footage, and amenities of your favorite properties. If you are lucky to get a warm body to answer the phone, the person on the other end will likely provide you a detailed description of the home and naturally try to entice you to visit the property. The individual that answers the phone is the listing agent and they work on behalf of the seller. What happens when you visit the property and realize that the backyard is too small? Or the master bedroom looks nothing like it did in the online picture? During your visit the listing agent will suggest other listings they have that could meet your requirements. Will their other listings really suit you better? What happens if they don’t have any other listings in that neighborhood? What happens next? In this scenario there are 2 discouraged parties, the property does not meet your needs and the listing agent just spent an hour with an un-qualified buyer. The conversation ends and each party returns to their corner; discouraged. What would happen if when you first called to enquire about the property, the other person on the end of the phone was NOT the listing agent but instead a buyer’s representative? A buyer’s representative (or buyer’s agent) is the individual who’s primary focus is to take your property wish list and turn it into a reality; a reality in today’s market place. Your heart flutters for a property due to its curb appeal and its location within your ideal neighborhood, yet there are likely other items that you have not considered that could knock this home out of the running. It is a buyer’s agent job to first take the time to understand and clarify the “must have” features in your next home. Clarification is crucial for the buyer’s agent to do their job effectively and clarification of the “must have” list is essential for you as the search moves forward! The buyer’s agent will present you with options that you would have never considered; you may be bias with your selections, but a buyer’s agent is not. Property searches can be exhausting, but a buyer’s agent will keep your search on track since your “must have” list is what leads the search and not the emotional pull of a home that often beckons buyers to drive around to see what else they can find to view on any given Open House Sunday. 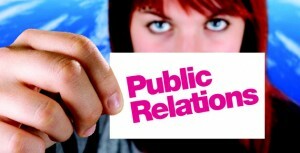 A buyer’s agent is like a stellar PR agent. They only want you to see the best of the best and will not waste your time taking you to view properties that do not match your criteria. When you find “the” house the buyer’s agent will provide you with their recommendations and will negotiate the property on your behalf. If you walked into an open house and the listing agent showed you the property and you wanted to put in an offer, who do you think would get the better deal? Who would be your advocate in that situation? Think about who is representing your needs, because without someone looking out for your best interest you might as well take out wallet and show the listing agent exactly how much money you have to spend. Rest assured that the listing agent will turn around and notify the seller of the exact contents of your wallet, not for any other reason except that it is their duty and it is mandated by law. What sorts of laws protect you? A buyer’s agent will discuss the laws and how they can and will protect you, but this information is not available unless you enlist the assistance of a buyer’s agent! Naples Meridian team members are proud to have earned their certification as accredited buyer representatives (ABR). They have helped countless buyers purchase properties in the United Kingdom and Naples, Florida and are the sole buyer’s representatives for the Belz Sells Team in Naples, Florida. When you call to inquire about any of the properties offered by the Belz Sells Team your questions will be answered by a Naples Meridian buyer’s representative! Naples Meridian is Podcasting Now! Next:Don’t Put a Ring On It Just Yet! Home Purchases and Engagements Don’t Mix Warn Lenders. Its RockTober And Naples Properties Are On The Move!